How to: Chop the pork into smaller pieces and fry them in a frying pan and season with salt and pepper. Chop the mushrooms and the fennel and mix them with the pork and the rest of the ingredients and let it come to a boil. Put the pot in the oven at 120C/250F for at least 2 hours but by all means longer. Make sure you don’t burn it so it is a good idea to check on it. Mine got dry-ish a few times but I just kept on adding water every time till it was to my liking (Not to wet and not to dry). Grate the cauliflower and fry it in a pan for about 10 minutes and season with white wine vinegar, salt and pepper. This entry was posted in Recipes and tagged Casserole, diet, dinner, fitness, gluten free, lifestyle, low-carb, Pork chops, recepie, weight loss by Malin. Bookmark the permalink. Wow that looks fantastic! 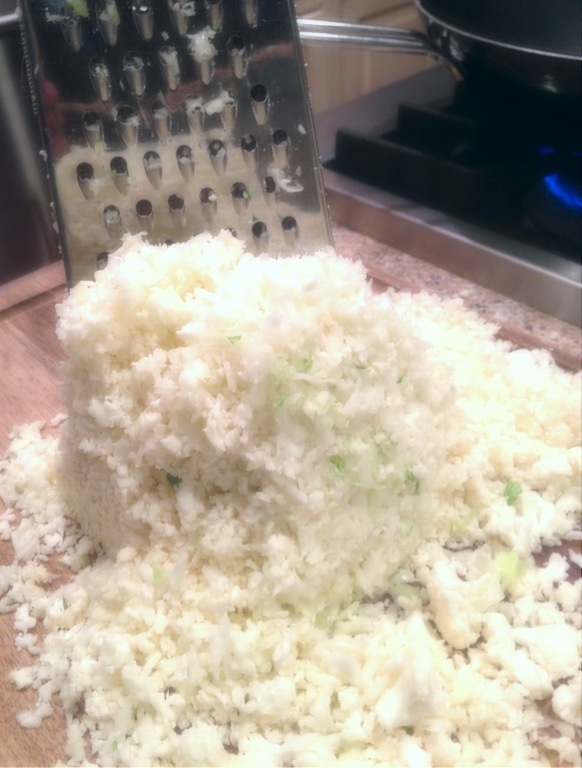 I’ve never had cauliflower rice and I have been trying to find a new recipe for it! I’m gonna try this next week! Thank you…it was really a great substitute to the regular white rice.